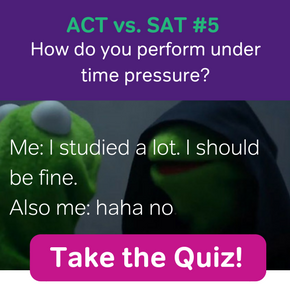 Get SAT practice questions and videos here! 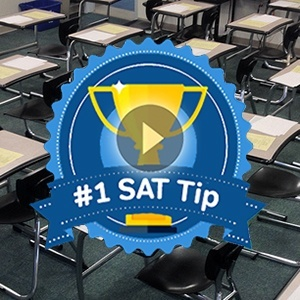 Sign up or log in to Magoosh SAT Prep. Covering 29% of the concepts on the test, this section is the second most common on the test, after Heart of Algebra. 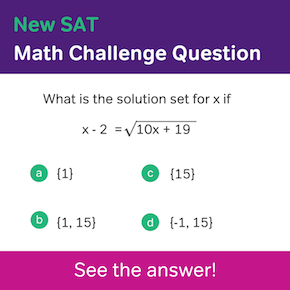 This is a part of the New SAT that has definitely been fleshed out since the old SAT. Keeping in line with real world scenarios, many problems will ask you to infer information based on a study with any number of participants. 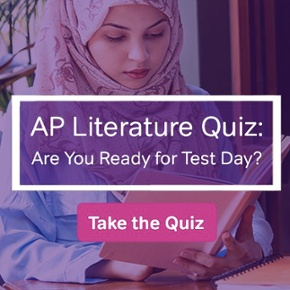 This is actually something that the SAT has never done before and is a welcome change, given that you’ll be learning lots about cause and effect and inferential statistics in college. This question type shouldn’t come as a surprise since it has probably been part of your math courses for the last five years (yep, you most likely went over this stuff, in some form, all the way back in early middle school). I’ll start with ratios. A good way to think of ratios is apples and oranges. Say I have two oranges and three apples, the ratio of oranges to apples is 2:3. Seems straightforward. What if I have four apples and 6 oranges? If you answered 4:6, that is not quite correct. You have to think of the ratio the way you would a fraction, in lowest terms. Both 4 and 6 can be divided by ‘2’, giving you 2:3. Notice how that is the same ratio as 2:3. This highlights an important conceptual idea: ratio is not about total number. It is about the number of one thing, to the number of another thing, reduced, so that the ratio is expressed as two prime numbers. One last thing about ratios. Let’s say you have a ratio of 1:2. This is not the same thing as ½. The bottom number in a fraction is always the total. The total of a ratio is always the parts of a ratio added together. In this case, 1:2 is 1 + 2 = 3. So if I have 1 apple to two oranges, 1/3 of the fruit are apples and 2/3 are oranges. If you have more than two ratios, make sure to add up all of the ratios. For instance, if the ratio of blue marbles to red marbles to green marbles is 2 : 5: 7, red marbles account for 5/14 of the total (2 + 5 + 7 = 14). The ratio of shirts to shorts to pairs of shoes in Kevin’s closet is 5 : 2 : 3. If Kevin owns 10 shirts, how many pairs of shoes does he have to give away so that he ends up having the same number of shorts as he does pairs of shoes? Okay, this question is slightly evil, since shorts sounds like shirts and it is easy to get the two mixed up when you are reading fast. So always pay attention, even on easier questions! Since we know that Kevin has 10 shirts, and that 10 therefore corresponds to the number ‘5’ in the ratio, that the actual number of shorts, shirts, etc., he owns is double the number in the ratio. Thus, he owns four shirts and six pairs of shoes. So he’ll have to give away two pairs of shoes so that he’ll have the same number of shoes as he does shorts. Answer: (B). On some questions, you’ll have to figure out the proportion between two different units. Niles takes an interstate road trip over the course of two days. If he covers 610 miles in nine hours the first day and 300 miles in four hours on the second day, what is high average speed per hour? To figure out the average speed of the entire trip, divide the total distance by the total number of hours. The handy equation D = rt, where D is total distance, r is rate, and t is time, will make this easier. D = 910, r = ?, t = 9 + 4 = 13 hours. 910 = 13r, r = 70, answer C). A cartographer owns a square map in which one inch corresponds to 7/3 of a mile. What is the area of the map in square inches if the map covers a territory of 49 square miles? We know that 7/3 of mile = one inch. Here is the little twist that you want to watch out for. The question is asking for square miles in inches, so we have to take 3^2 , which equals 9. Another possible question type, and one that most are familiar with and probably dread, is the percent question. To reduce something by a certain percentage, either turn that percent into a ratio over 100 or convert the percent into a decimal by moving the point back two spaces. For example, 40% equals both 40/100 and .40. Answers at the end of the section. There are 200,000 voters in district X, 60% of who voted in the 2008 state election. In 2010 state election, the number of voters in district X increased by 20% but if only 55% voted in this election, how many total votes were cast in the 2010 state election, assuming that no voter can cast more than one vote? In a popular department store, a designer coat is discounted 20% off of the original price. After not selling for three months, the coat is further marked down another 20%. If the same coat sells online for 40% lower than the original department store price, how much percent less would somebody pay if they were to buy the coat directly online than if they were to buy the coat after it has been discounted twice at the department store? In 2010, the number of overall voters increased by 20%, so 20% of 200,000 is 40,000 giving us 240,000 total voters. 55% of 240,000 gives us 132,000. Answer C). When you are not given a specific value for a percent problem, use 100 since it is easiest to increase or decrease in terms of %. 1st discount: 20% off of 100 = 80. 2nd discount: 20% off of 80 = 64. Online, the coat sells for 40% off of the original department store price, which we assumed is 100. Online discount: 40% of 100 = 60. This is the tricky part. We are not comparing the price difference (which would be 4 dollars) but how much percent less 60 (online price) is than 64 (department store sale price). Percent difference: (64 – 60)/64 = 1/16 = 6.25%. Answer B). Chris Lele is the GRE and SAT Curriculum Manager (and vocabulary wizard) at Magoosh Online Test Prep. In his time at Magoosh, he has inspired countless students across the globe, turning what is otherwise a daunting experience into an opportunity for learning, growth, and fun. Some of his students have even gone on to get near perfect scores. Chris is also very popular on the internet. His GRE channel on YouTube has over 10 million views. You can read Chris's awesome blog posts on the Magoosh GRE blog and High School blog! You can follow him on Twitter and Facebook! If y = (1/4)x – 5 is parallel to the line y = mx/2 + 3, what is the value of m in decimal form?